My gsamert mw700 is charging, but i can't switch it on. Please provide link. I searched a lot but can't find any link to windows upgrade. Currently i'm using the PDA with existing 6.0 windows. fm quality is really poor.no stereo effect even in the metro city is there any fm software that can be loaded for better performance,pl give the website details for downloading. Kapil K, 24 Jun 2010Hi, i have a Gigabyte MW700 PDA, its GPS Utility does not locate any satellite. If you have an... moreupdate your rom and set your GPS program to a CAR setting... and wayt 10 min Max... it should work. A very good PDA phone. Positive: Have many features, all works good, small unit, battery - 3,4 days in usual mode. Negative: Sometimes OS (WM 6.1 professional) crash, and need reboot. Only 2 Mpixels camera. Anyway it;s a very good device at his price. Yes, I bought the phone in India and it has FM radio. elitehacqer, 24 Oct 2009Awesome phone, It has everything that I need, GPS, Wifi, GPRS, fast processor. 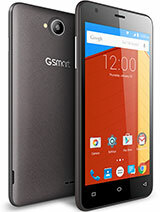 Only things I w... moreDoes this phone have a FM radio?I am to get this mobile soon. 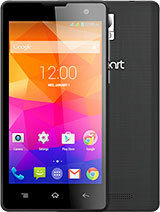 Awesome phone, It has everything that I need, GPS, Wifi, GPRS, fast processor. Only things I would have wanted more are, a better camera, better battery life and more RAM. The GPS is good, but somehow built in "GPS Track utility" fails to fix, other GPS softwares works without a hitch though. 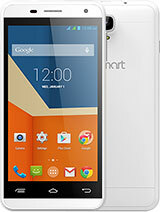 Overall a very good phone for the price(in India). BTW, the GPS button, the button on lower right corner doesnt work and gives a error "file not found", anyone with same problem?? Personally I have tried many Windows mobile devices hp hx4700, dell Axim x51v, Tmobile wing, at&t 8525 and some other less wellknown. 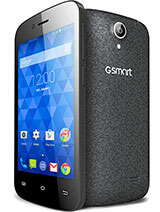 I am using Gsmart mw700 now. All i can say is that although there is almost no support for it, it is still a GREAT device. It is not really sophisticated, but it is fast enough for you to get around with easily. 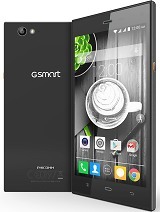 If make some research on Windows mobiles software you will find a lot of application that meet your needs and will not complain so much about the Gsmart. Beside the poor support demonstrated by the manufacturer, this is PDA phone that has all it take for you to enjoy it. I recognized some minor bugs, that don't affect the "usability" so much. Still a good device though, you just have to know what you are doing. Total of 26 user reviews and opinions for Gigabyte GSmart MW700.